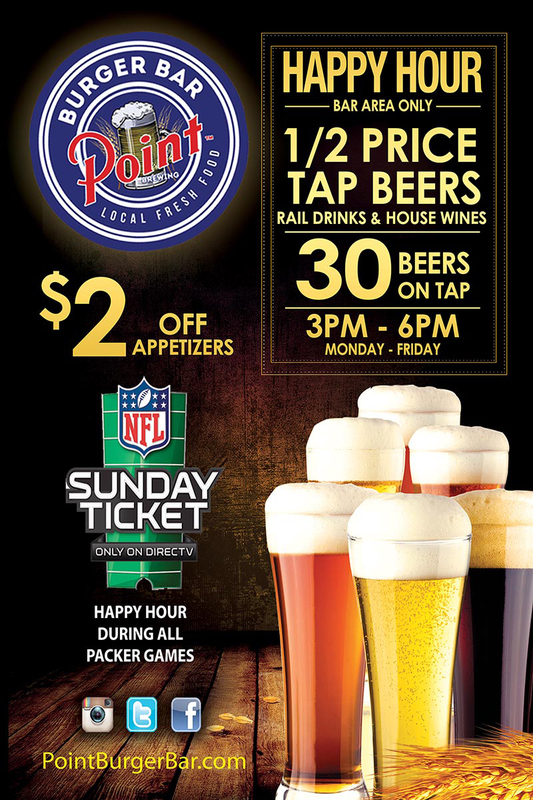 Point Burger Bar is the collaboration between Stevens Point Brewery and the owner of Ward’s House of Prime. Our restaurant is located at 4900 S Moorland Road New Berlin, WI 53051 and is patterned on burger bars in Las Vegas. We have options for diners to customize burgers by choosing from nine kinds of patties, including Angus beef, duck and lamb, and from 60-plus toppings. Side dishes and appetizers number more than 30 and the menu has more than two dozen entrees, sandwiches and other burgers. Become a part of our exciting team! We keep things organized and clean, take pride in providing exceptional service to every guest, every visit and work with the freshest ingredients, boldest flavors, cleanest kitchens and top-of-the-line equipment to provide an exceptional culinary experience to everyone. We are currently hiring for part-time and full-time positions. Come be a part of an exceptional team, staff and family where we like to have fun and get the job done. We are looking for experienced employees to help our business be successful, grow and share an experience unlike no other. Apply Today! We would love to meet you!